Introducing the Orion 25 Egg Grader that has been designed by Sime-tek as one of a series of models Vega 16, Vega 16 plus, and the Orion 25 which are egg graders of the highest quality, being tough and technologically advanced, with reliability that has been proven in the market. This versatile grading unit is easily maintained, adaptable to any operating conditions thanks to its modular design, and designed to automate the production systems in small, medium and large-scale egg production facilities. 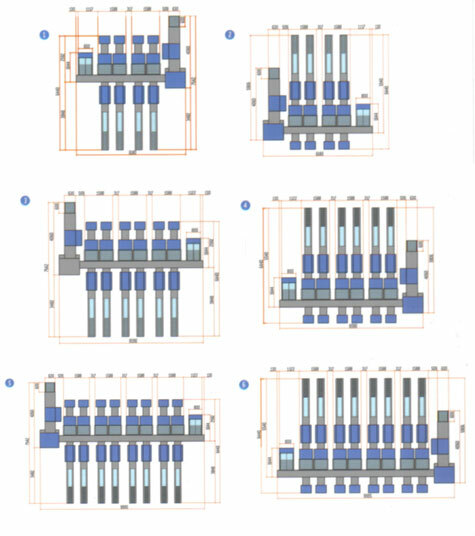 The unit’s output capacity is 25,000, 30,000 or 36,000 eggs per hour, and the operating cycle from the arrival of the eggs from the laying area, grading by weight, distribution, printing and packing is entirely automatic. A feed conveyor, connected directly to the belt from the laying units or fed by automatic and/or manual loaders, transports the eggs on 4 or 6 rows of rollers to the inspection cabin where they are checked for damage or impurity. Neon sunlight lamps, a mirror and a specially designed roller movement assist the operator in inspecting and removing any imperfect eggs. 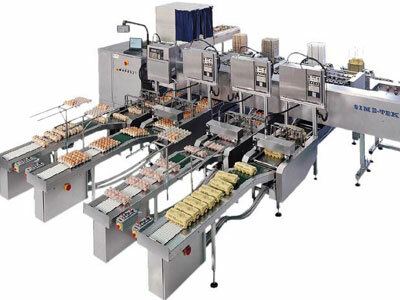 The electronic grading process the grades the eggs into 7 weight categories using 4 or 6 electronic load cells. The weight of the egg is measured and memorized for updating of this statistical data and to determine the output section as desired by the operator. The entire operating cycle is automatic and electronic and can be regulated by the operator using a touch screen.The screen swivels up to 180° to provide for constant monitoring and printing of production data and statistics. The eggs remain visible through the entire process and the delicate carton filling process is carried out by specially- designed “hands” which gently place the eggs into the plastic or pulp cartons which are then closed and marked with the date of production or the expiry date.